Battle Arena Toshinden URA, called Toshinden URA (闘神伝URA) in Japan, is an entry in Takara's Battle Arena Toshinden series of fighting games released in 1996 for the Sega Saturn. 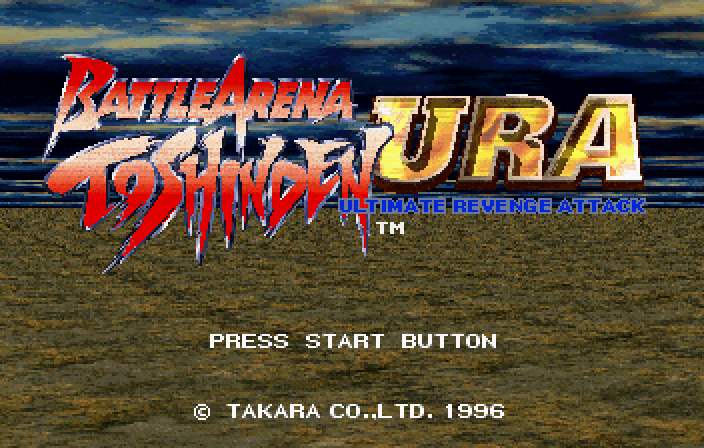 It is a somewhat enhanced port of Battle Arena Toshinden 2 and serves as a sequel to Battle Arena Toshinden Remix. It is the second and final Battle Arena Toshinden game to appear on a Sega system. Four characters were removed from the PlayStation game; Gaia, Chaos, Uranus, and Master. Four exclusive characters are added in their place; Ripper, Ronron, Replicant, and Wolf. Gameplay was altered, making the game feel somewhat different. There are also new arenas, a new story, and a different CG intro. Main article: Battle Arena Toshinden URA/Magazine articles.